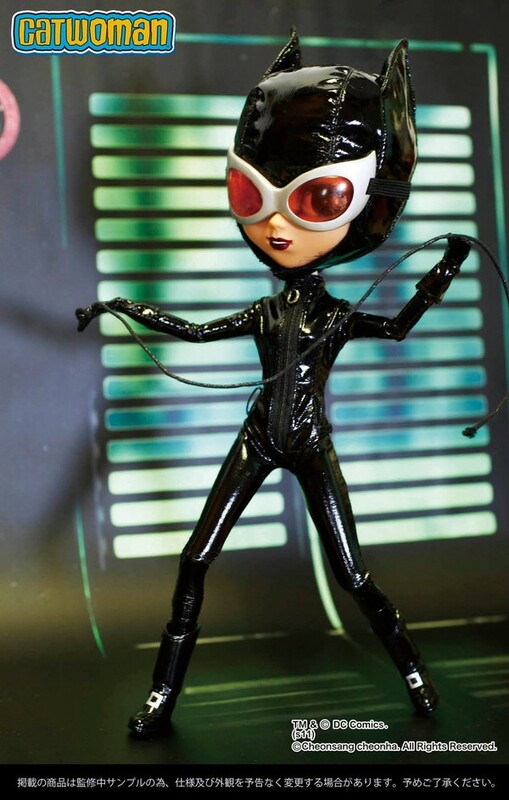 Pullip Catwoman and Pullip Batgirl were exclusives designed for 2011 San Diego Comic-Con, they were limited edition to only 400 dolls each. The dolls marked the first time that Groove would collaborate with DC Comics to release a limited edition doll. 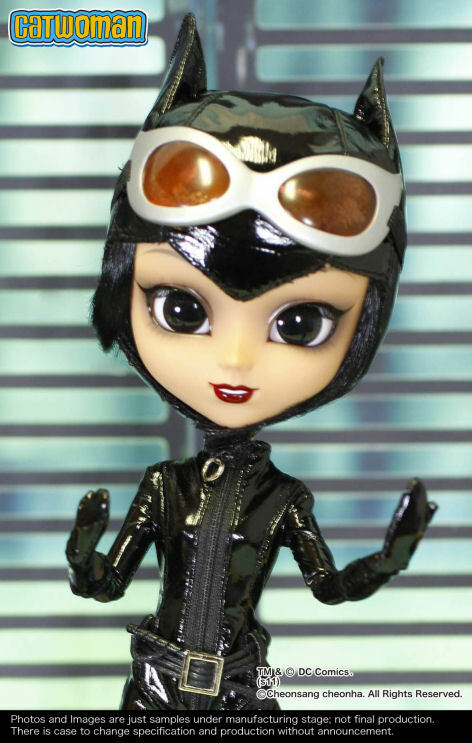 Groove would later release recolored version of Pullips Catwoman and Batgirl at Wonder Festival. In addition to the two different versions of Batgirl and Catwoman, Groove would later release Pullip Supergirl, Pullip Harley Quinn, Taeyang Batman, Pullip Wonder Woman, Pullip Harley Quinn Dress Version & Pullip Wonder Woman Dress Version. 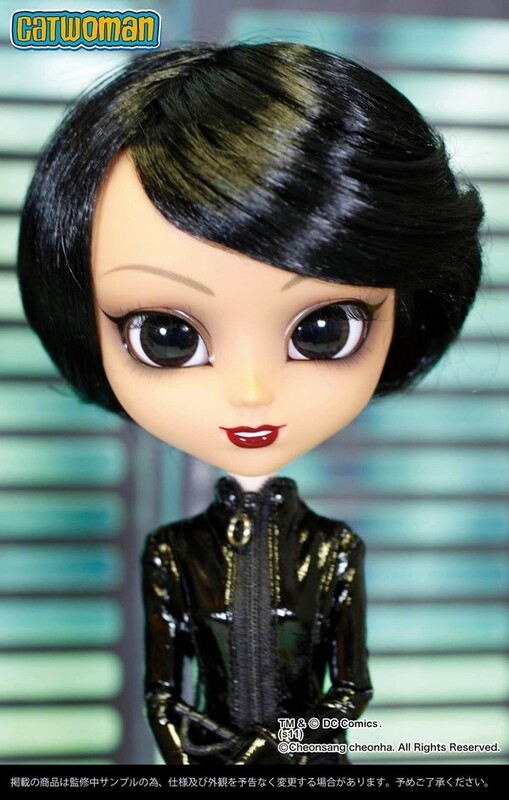 Release: Limited and Exclusive, this version of Pullip Catwoman was exclusive to San Diego Comic Con though it was eventually offered by some other retailers such as JPGroove and Pullipstyle after the event. Stock: Pullip Catwoman SDCC Version’s stock consists of a catsuit, boots, gloves, a belt that doubles as a whip, belt buckle, goggles and a cat hood. 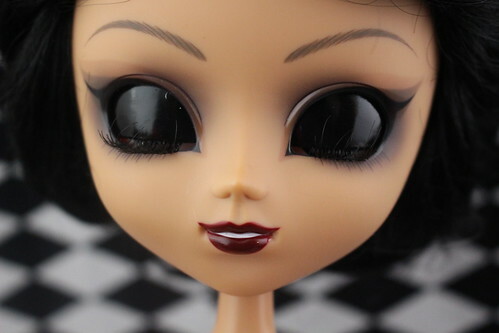 Obitsu Match: Pullip Catwoman has a darker skintone roughly equivalent to the Mocha MIO kits so she does not really have a perfect obitsu match except for possibly coconut which is unfortunately discontinued and very hard to find these days. Special Notes: Pullip Catwoman like most of the other SDCC dolls came in one of the slim boxes without a window. 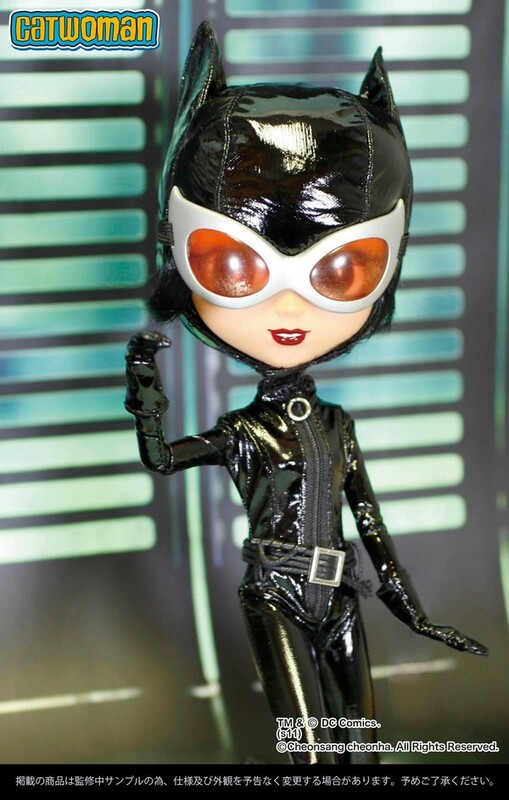 A recolored version of Catwoman resembling her blond hair/blue eyed appearance in Batman Returns was released at Wonder Festival. Known Issues: Possible staining issues? Similar Doll Recommendations: Pullip Harley Quinn, Pullip Batgirl, Pullip Wonder Woman Dress Version and Pullip Wonder Woman..